Learn how executive skills—like working memory and cognitive flexibility—play an essential role in reading. By Kelly B. Cartwright, Ph.D.
Editor’s note: This piece is adapted from Kelly B. Cartwright’s Executive Skills and Reading Comprehension: A Guide for Educators, now available from Guilford Press. 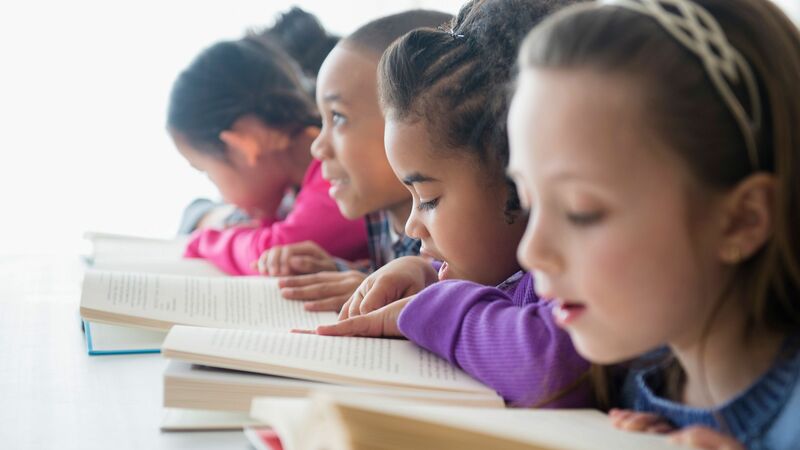 Students who struggle with reading often lack the thinking skills, such as memory, planning, and the ability to shift focus when necessary, that seem natural to skilled readers. For many teachers, the process of reading is so familiar that they often have difficulty explaining it to students. Much like riding a bicycle, we know we can do it, but explaining how it happens is another story entirely! Recently, I had a conversation with a reading specialist colleague who was worried about a young reader who didn’t seem to have the memory skills to understand text. I mentioned that the student might have difficulty with executive skills, which can sometimes explain the difference between good and poor readers. Research is just beginning to show the importance of executive skills for reading comprehension (e.g., Borella, Carretti, & Pelegrina, 2010; Cain, 2006; Locascio, Mahone, Eason, & Cutting, 2010), and understanding that importance has the potential to change the way we teach our students. Think of the term executive skills as an umbrella term that refers to a set of mental tools we use to manage tasks and achieve goals (Anderson, 2002; Dawson & Guare, 2010; Goldstein & Naglieri, 2014; Meltzer, 2010). Just as a chief executive of a company sets goals for the company and manages that company’s operations to achieve those goals, our executive skills are what we use to engage in self-regulated, goal-directed behavior in any area of life, from planning and executing a trip to the grocery store to reading and understanding a complex journal article. Other words used to describe executive skills are executive control processes and executive functions, and these terms are used interchangeably in the literature on this topic. There is fairly wide agreement that the core, or most basic, executive skills are cognitive flexibility, working memory, and inhibition (Best & Miller, 2010; Diamond, 2013; Miyake, Friedman, Emerson, Witzki, & Howerter, 2000). Cognitive flexibility is the ability to shift attention from one task to another. Students must shift attention during classroom transitions, such as when shifting from recess to math. Likewise, skilled readers actively shift focus between many things, such as word and story meanings or converting letters into sounds. Working memory is the child’s capacity for holding information in mind while working with part of that information, such as when a child remembers the steps involved in the classroom’s morning routine (i.e., remembers what comes next) while engaging in each of the steps​. Similarly, when building a mental model of a text’s meaning, a good comprehender must keep in mind the various text ideas presented, note the causal links between them, and update the model as he or she encounters new ideas in text. Inhibition involves the ability to resist engaging in a habitual response as well as the ability to ignore distracting information. You might think of this as stifling a gut reaction, such as when a child resists the impulse to grab a nearby toy. Similarly, good comprehenders must inhibit incorrect or irrelevant associations, such as ignoring ideas about financial institutions when reading about the banks of a river. More complex executive skills also include planning, which involves setting and working toward a goal, and organization, which involves ordering and sequencing information or subtasks in ways that support completion of a goal. For example, a shopping trip requires planning, such as making a shopping list, as well as organization, such as arranging the items on your shopping list by the sections in the store. You cannot reach your goal without a plan, and you can do so most effectively if you are aware of the steps you need to take, in the proper order, to ensure that your goal is met. Can We Assess Executive Skills? In short, yes! Dawson and Guare’s Executive Skills in Children and Adolescents: A Practical Guide to Assessment and Intervention provides a thorough overview of existing assessments for executive skills. In addition, I have developed a rubric that you can use to informally assess students’ executive skills as they read (see Appendix A in my book). You can also download and print graphic organizers, rubrics, and planning and assessment forms through the "reproducible materials" link on Guilford’s website. Children who have difficulties with reading comprehension, despite having age-appropriate word reading skills, may have lower levels of executive skills than their peers with better comprehension (Borella, Carretti, & Pelegrina, 2010; Cain, 2006; Locascio, Mahone, Eason, & Cutting, 2010). These discoveries are important for all educators because reading comprehension is the foundation for all other learning in school: Students cannot understand, enjoy, or respond to literature without effective reading comprehension; likewise, students cannot gather new information from science, math, or social studies texts when they don’t understand what they read. Fortunately for educators and for our students, executive skills can be taught, which can support our students’ current—and future—academic success. Anderson, P. (2002). Assessment and Development of Executive Function (EF) During Childhood. Child Neuropsychology, 8, 71-82. Best, J. R., & Miller, P. H. (2010). A Developmental Perspective on Executive Function. Child Development, 81, 1641-1660. Borella, E., Carretti, B., & Pelegrina, S. (2010). The Specific Role of Inhibition in Reading Comprehension in Good and Poor Comprehenders. Journal of Learning Disabilities, 43, 541-552. Cain, K. (2006). Individual Differences in Children’s Memory and Reading Comprehension: An Investigation of Semantic and Inhibitory Deficits. Memory, 14, 553-569. Dawson, P., & Guare, R. (2010). Executive Skills in Children and Adolescents: A Practical Guide to Assessment and Intervention (2nd ed.). New York: Guilford Press. Goldstein, S., & Naglieri, J. A. (Eds.). (2014). Handbook of Executive Functioning. New York: Springer. Locascio, G., Mahone, E. M., Eason, S. H., & Cutting, L. E. (2010). Executive Dysfunction Among Children With Reading Comprehension Deficits. Journal of Learning Disabilities, 43, 441-454. Miyake, A., Friedman, N. P., Emerson, M. J., Witzki, A. H., & Howerter, A. (2000). The Unity and Diversity of Executive Functions and Their Contributions to Complex “Frontal Lobe” Tasks: A Latent Variable Analysis. Cognitive Psychology, 41, 49-100.